In a major new collaboration, the UK Natural Environment Research Council and the U.S. National Science Foundation plan to deploy more than 100 scientists from dozens of institutions to study the possibility that West Antarctica’s huge Thwaites Glacier could collapse within decades or centuries. 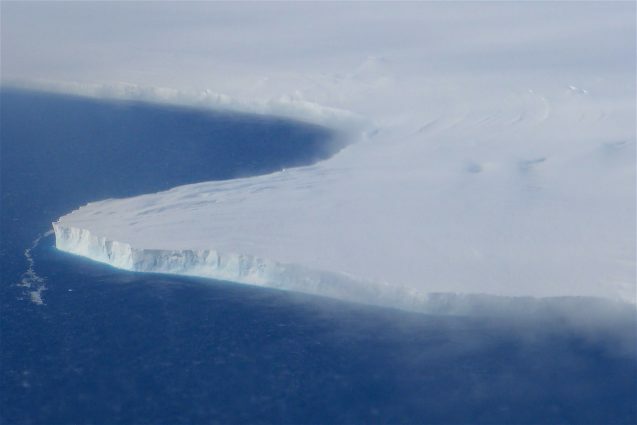 Wasting of the glacier, which drains an area roughly the size of Britain or the U.S. state of Florida, already accounts for around 4 percent of current global sea-level rise, an amount that has doubled since the mid-1990s. If the glacier collapses completely, its contribution would be much greater. Under the International Thwaites Glacier Collaboration, nine large-scale projects will bring leading polar scientists into the largest joint Antarctic effort by the two nations for more than 70 years. The biggest previous one was a mapping project on the Antarctic Peninsula finished in the late 1940s. The collaboration involves scientists from both countries alongside researchers from South Korea, Germany, Sweden, New Zealand and Finland. The program will deploy the most up-to-date instruments, from drills that can penetrate 1,500 meters into the ice to autonomous submarines that will travel under the ice’s edge, where it meets the ocean. In addition to $25 million of awards to the research teams, the nations will provide nearly as much in logistical support. The nearest permanently occupied research station is more than 1,600 kilometers from the Thwaites, so researchers on the ice will rely on aircraft support from UK and U.S. research stations, while oceanographers and geophysicists will approach the glacier from the sea in UK and U.S. research icebreakers. Scientists at Columbia University’s Lamont-Doherty Earth Observatory will serve on four of the teams. Assistant research professor Indrani Das will work with a team of ice sheet and ocean modelers to forecast future loss of ice. It has been suggested that the Thwaites has reached a critical stage due to the geometry of its bed. 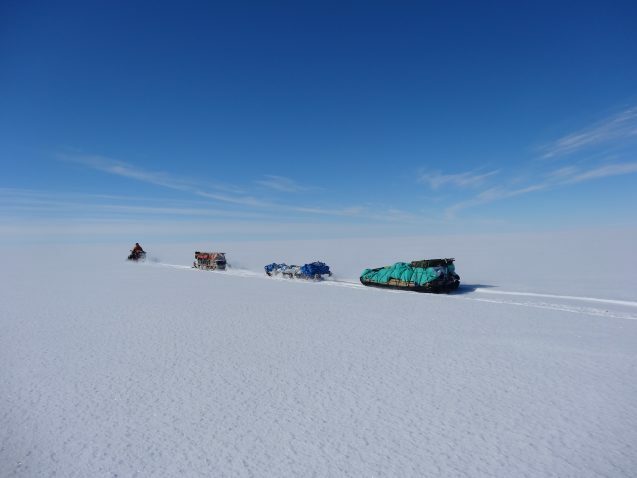 Das will use a dense grid of ice-penetrating radar data collected by NASA to analyze how slippery the bed is, and compare these observations to other Antarctic ice masses. Jonathan Kingslake, an assistant professor, will participate in two over-ice traverses to collect geophysical data on the properties of rocks and sediments beneath the glacier, and how ice slides over them. By targeting places where there are sharp changes in the rate at which the glacier is moving, his team will improve the way computer models simulate sliding. As part of a team of 18, he and a Lamont student will spend upwards of four months camping on the ice. 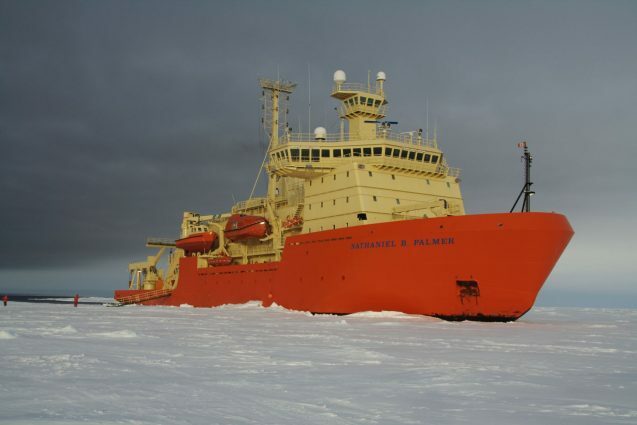 Frank Nitsche, a research scientist, will participate in two ship expeditions to study the ocean bottom in front of and under the glacier’s ice shelf, using geophysical measurements and sediment samples. Together with colleagues, he will analyze data from this poorly mapped area to determine where warm water could be reaching the glacier, and to reconstruct past changes in the glacier in response to climate. Education coordinator Margie Turrin will head up the education arm of an office aimed at providing outreach and communication about the project and its results. The field research will begin in October 2018 and continue to 2021, followed by two years of analysis. Among the other institutions involved are the British Antarctic Survey, the University of California Irvine, Northumbria University, the University of Colorado, Penn State University, and the University of Houston.